QDR plays the Best New Country you want to hear…and see! 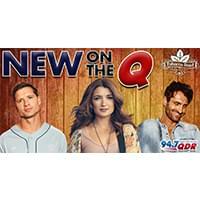 Experience what’s new in Nashville LIVE with our very first “New on the Q” show featuring Walker Hayes, Ryan Hurd and Tenille Townes at Tobacco Road Sports Cafe and Brewery in Raleigh on February 19th! The best part, it’s FREE! Download your free ticket now. 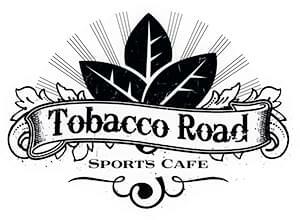 Tobacco Road Sports Cafe and Brewery in Raleigh will also donate 20% of all sales on February 19th to KidzNotes, which engages students pre-K through 12th grade in an intense out-of-school musical program that includes instrumental instruction, choir, music theory, general music, orchestra, and band. You can also make donations to KidzNotes at the event. Learn more about KidzNotes. Tobacco Road Sports Cafe and Brewery is located in Downtown Raleigh’s historic Powerhouse building. They boast a creative range of dishes including down home regional classics, gourmet entrees and plenty of healthy alternatives. Be sure to check out the game room, including some of your favorites: NBA Hoops, Mortal Kombat, pool, skeeball, Golden Tee, pinball and more! Where: Tobacco Road Sports Cafe and Brewery in Raleigh, 505 W Jones St.